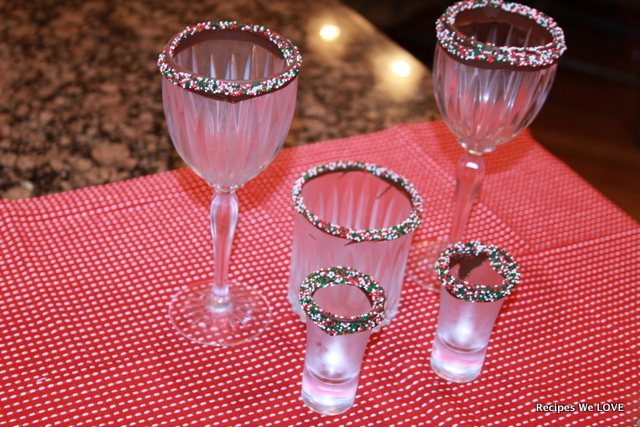 Since we are always looking for fun ways to make the holidays special I Thought I would give these a try. I had seen versions several times on Pinterest. 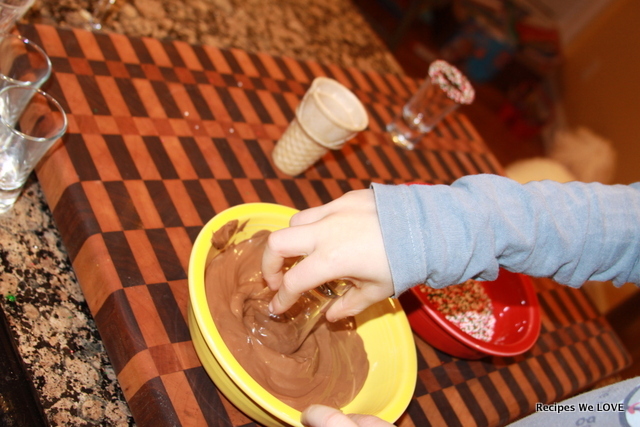 I did not use any fancy chocolate just chocolate almond bark and they took about 3 minutes total to make, and my son did most of it (The chocolate may have been a little more even if I had not had a helper.) 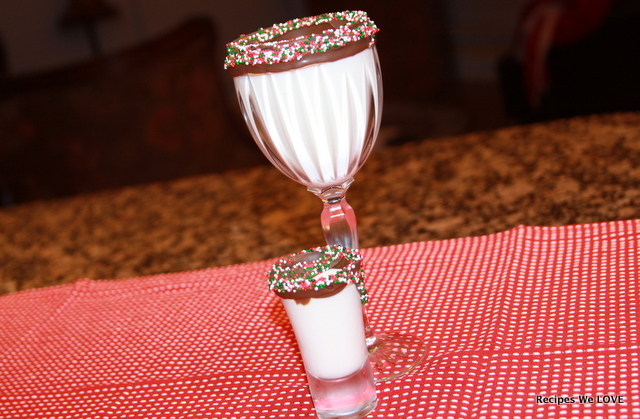 I am thinking about doing a bunch on clear plastic cups for our extended family Christmas Gathering and taking milk for dessert time. Melt the almond bark, I used the microwave for about 3 minutes and I used 3 squares of the bark which was way to much for what we dipped. 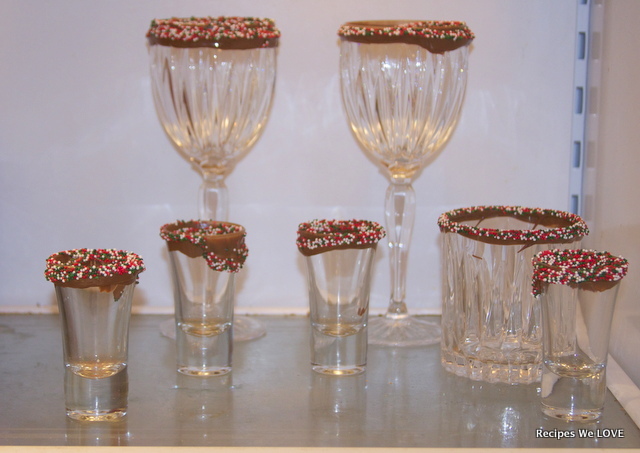 Once it is melted dip your glass in the melted chocolate then dip in a bowl of sprinkles. 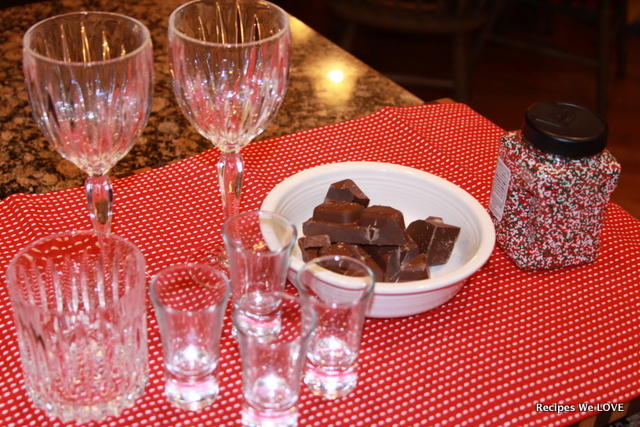 Then put in the fridge, we set our sit on the counter too long and a couple started dripping. 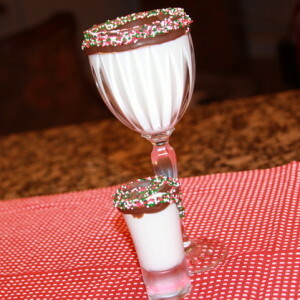 Then we enjoyed our filled with milk while we watched the first Christmas movie of the season. 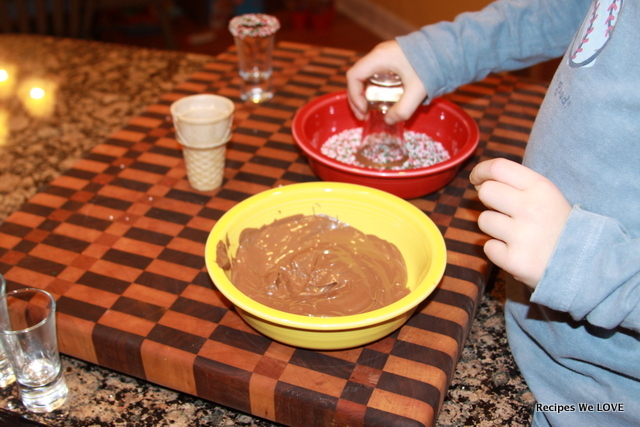 WARING my son, had to get every bit of chocolate and sprinkles off of his so his face became covered in it but he LOVED it. 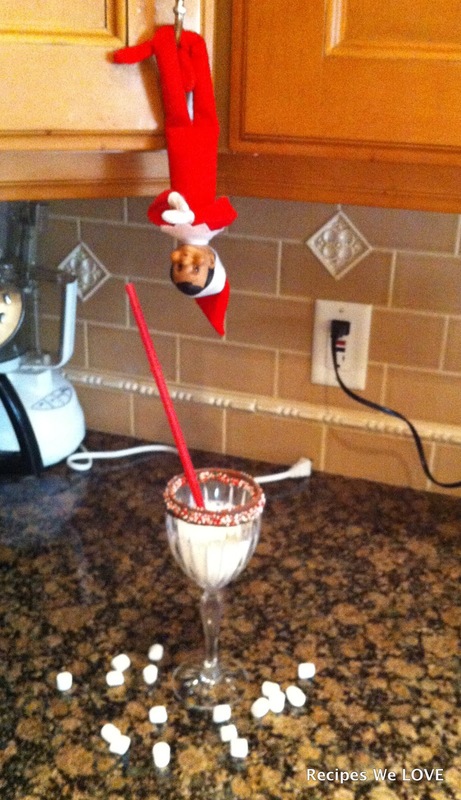 Even our Elf on the Shelf, Thomas, enjoyed these glasses.